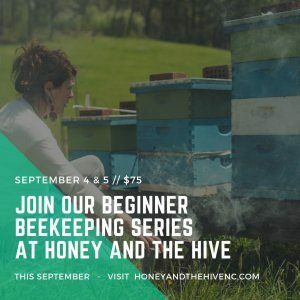 Our very own bee whisperer, Sarah McKinney, will kick off this fall with a beginner beekeeping series. Join her for seven hours of lecture, covering anything and everything a new or aspiring beekeeper could hope to know. Also included in the class value is a two-hour hands-on in the hive portion to be redeemed in spring 2019. Call us today to register! 828-484-9466. Learn to make your own candles with natural beeswax sourced from beekeepers right here in this area, and take home your very own candle! This course will be taught by Emily Trescott of Beelite Candles in Morganton NC. The Weaverville Tailgate Market will move to our store location when the weather turns chilly! Join us for a weekly selection of meats, winter veggies, and local crafts. Come to our second annual two-day craft fair, featuring a wide spread of local artists and craftspeople. A perfect opportunity to pick out holiday gifts! Please contact us if you are a crafter interested in a table.